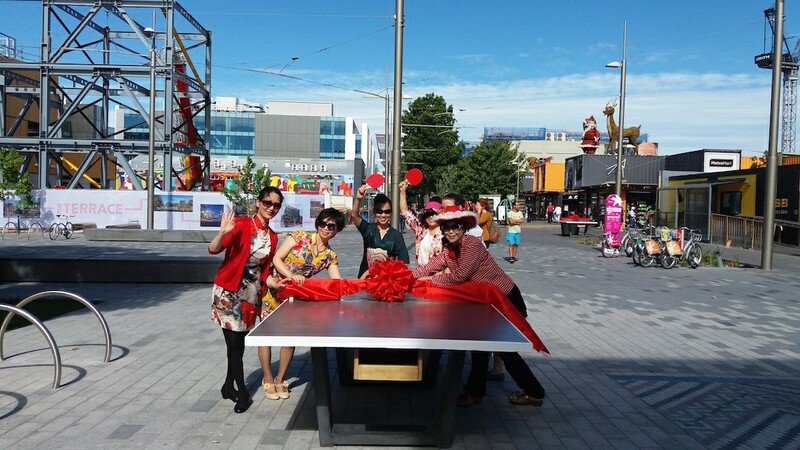 Ping Pong in the city! 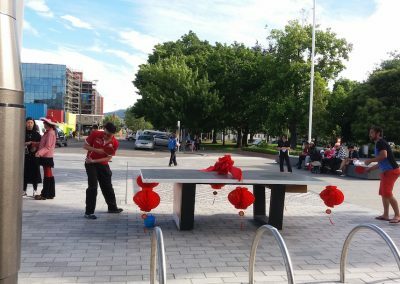 As part of the Diverscity: Community Showcase Project, three concrete ping pong tables were installed at the river end of Cashel Mall. 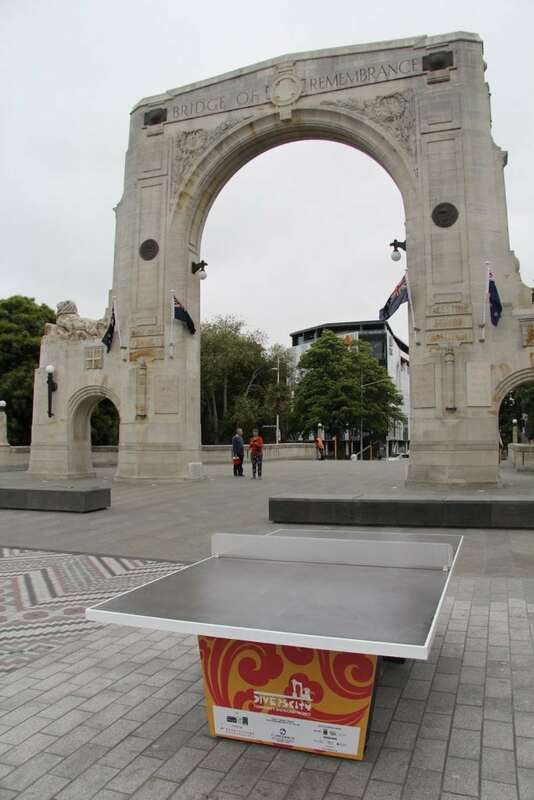 After remaining in place for 5 months across the warmer months (2016 December to April 2017), two tables have departed with one to remain until mid-Winter. 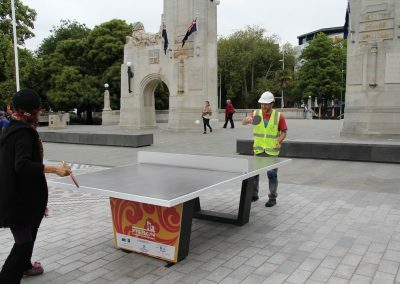 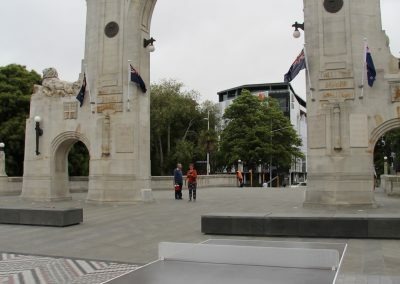 The project was originally meant to come to an end in February 2017, so the fact that the tables stayed until April AND one remains til mid Winter is a bonus for ChCh! 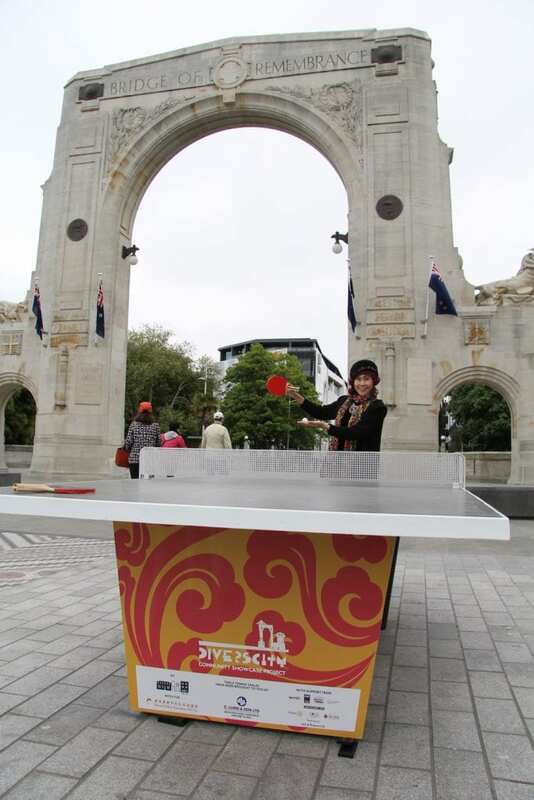 With these tables, we wanted to test new ways of using public spaces in our city by providing an amenity. 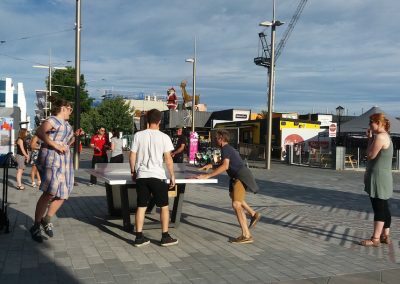 We were also interested in the social interactions they would create and how their presence would affect this particular area of the city. 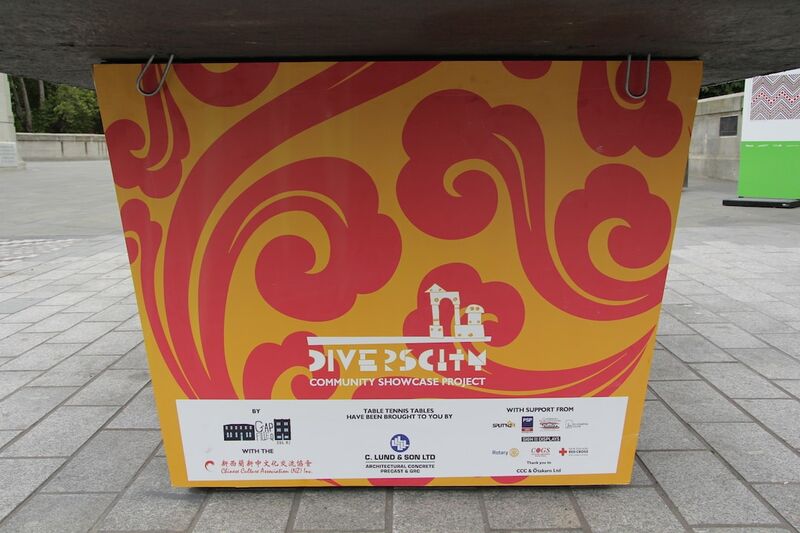 Ping Pong is Phase 2 of our Diverscity: Community Showcase Project. 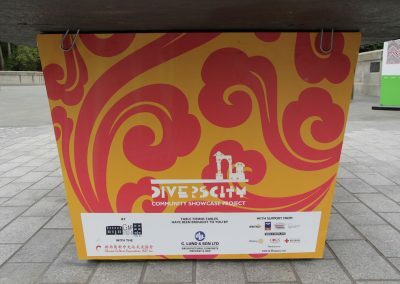 In this iteration, we worked with members of the Chinese Cultural Association (CCA) to develop this concept for this part of the city and to showcase Chinese culture more widely. 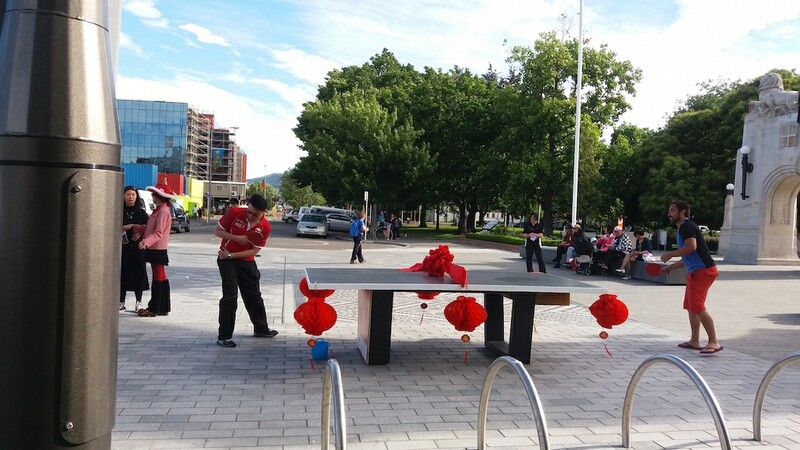 We also worked with CCC to site the three tables where they were (at the river end of Cashel Mall). 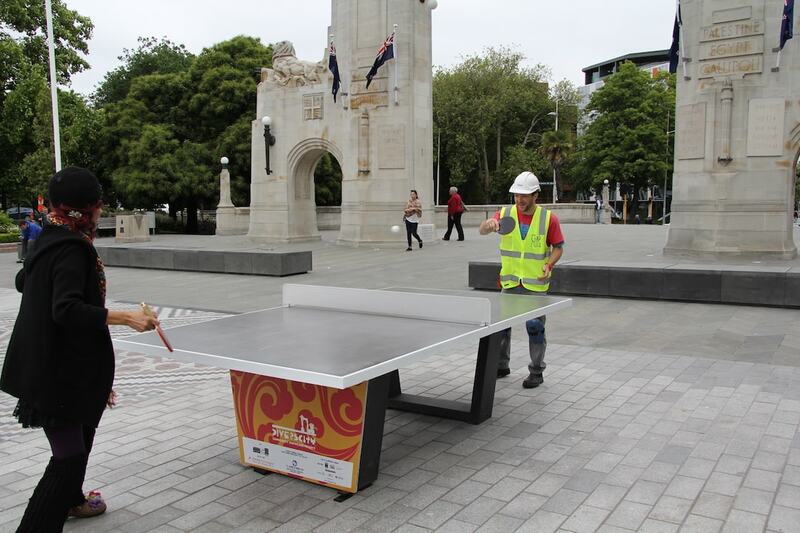 The project was launched on December 10, 2017 with help from Table Tennis Canterbury and CCA members. 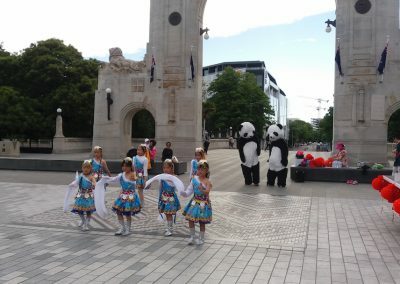 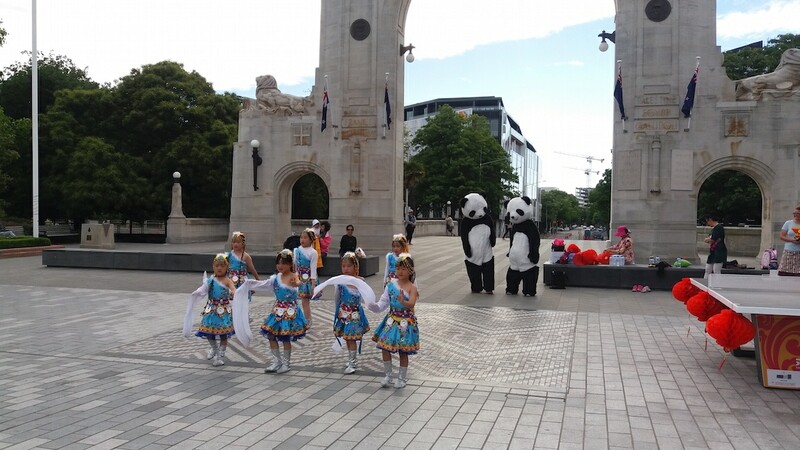 We also were thrilled to have a Chinese lion dance, people dressed as pandas and little girls from the Qiao Rui Dancing arts school perform. 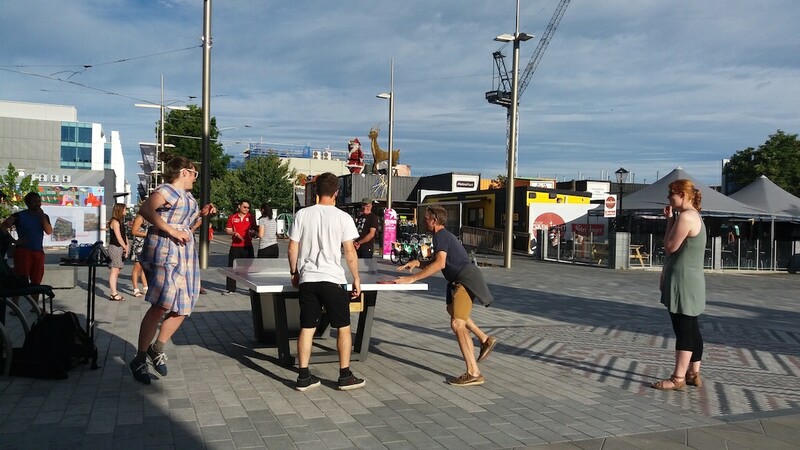 It was a wonderful evening, with passers by stopping to watch and have a go on the tables. 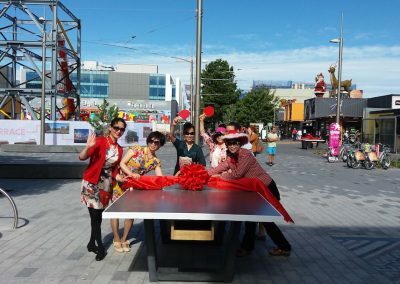 Here’s an article which was published in The Press on Monday, 12 December about the opening of the project.